In The Amazing Spider-Man 2, Jamie Foxx stars as Electro, the glowing antagonist to Andrew Garfield's Spidey. In this video, learn how Sony Pictures Imageworks used a combination of makeup and CGI to turn the Academy Award winner into a blue, electrically-charged villain--with inspiration from lightning, neurological networks, and nebulas. 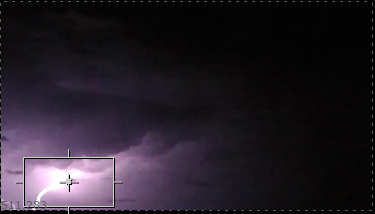 For this (Below) shot from Valiant I was asked to add some lightning flashes in the clouds. Thought about it for a second and realized I am not the best animator so i turned to the curve tool. First thing I did was go to youtube and find reference that I liked. I picked this video. I brought my footage into nuke from youtube hooked up the curvetool and picked an area I liked. I added the time offset just to get the footage to frame 1. Then I hit go in the CurveTool tab and let it calculate. Here is the image we will add the curve to. Added a keyer to my clouds background to create an alpha of the area I wanted to have effected. I copied and pasted the CurveTool Intensity Data tab into an exposure node in all three channels RGB. You can also change your keyer to get different results or add an expression to the exposure tool to make it brighter or darker. Did a few shots for this short. After DI and sounds looking really nice! Might do a quick tutorial on how I created the lightening with the curves tool. 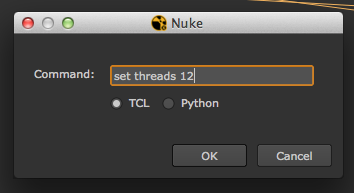 Here is a very quick tip on how to set your threads in Nuke. How ever many cores your system has, double that and that is the max threads you should enter. I've read that if you have a 12-core system you shouldn't set the max threads to 24. Some people say it actually slows Nuke down. 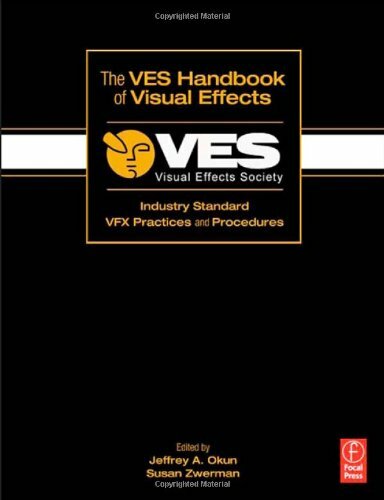 The Visual Effects of "Star Trek Into Darkness"
"Star Trek Into Darkness" contains over 1600 visual effects shots, created by Industrial Light & Magic, Pixomondo, Atomic Fiction and Kelvin Optical Inc. 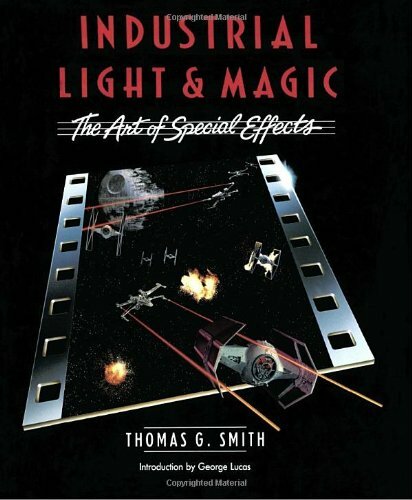 In this reel, we'll take a look at ILM's work which encompassed virtually every tool and discipline in our effects arsenal. We hope you enjoy the work. I'm a sucker for ILM breakdown videos. Industrial Light & Magic Visual Effects Supervisor Tim Alexander and Digital Environments Supervisor Dan Wheaton discuss the effects challenges presented on Gore Verbinski's 'The Lone Ranger.' 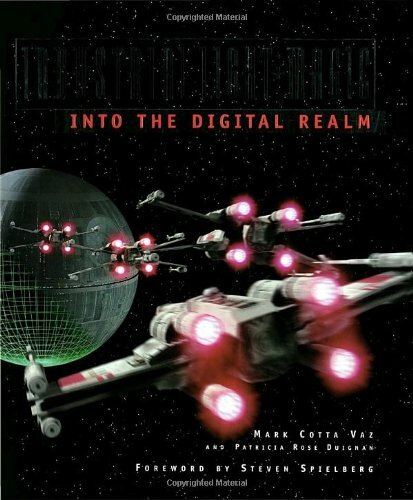 The film's primary visual effects challenges involved the creation of the hundreds of photorealistic CG environments seen throughout the film's dramatic action sequences. We are proud to present this video which showcases some of ILM's effects work for Gore Verbinski's "The Lone Ranger". 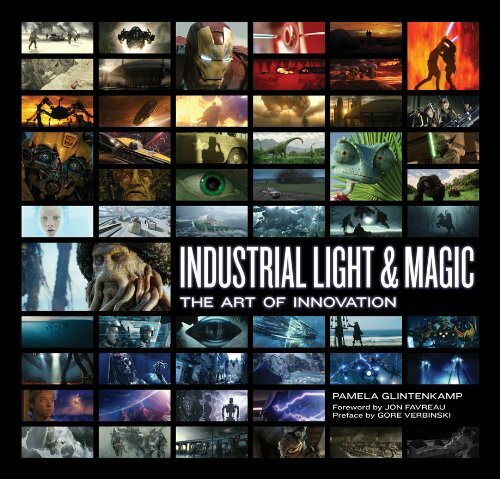 This reel represents the work over 170 ILM artists, scientists, and engineers backed up by a world class production team. We hope you enjoy it. Seems kind of sad that he thinks there are so many jobs in the US for VFX artists. Hopefully he has been mad aware of the subsidies that are killing the visual effects industry. I hope the protest was successful today! 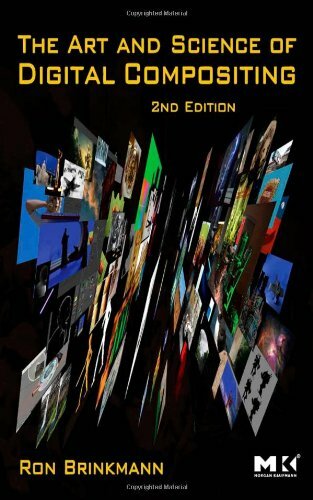 If you are interested in the VFX war against subsidies go to VFX Soldier. Currently working on Space Station 76! Go here and like the projected I am currently working on! I was lucky enough to be invited to a VES event this summer where John Knoll was speaking about Pacific Rim. He went over and "easy" shot (showed us and everyone laught at the thought of that particular shot being easy) which involved Gypsy Danger walking through the ocean. Some intense ocean sims which could not have been "easy" at all. Then he went over the hard shot. He stepped through the Hong Kong battles scen which I believe was about 20 min! After he was talking about the thirtieth different render pass he stopped saying something to the effect of "that was about half of the passes." I would love to see some of those Nuke scripts! Bad picture of the event below. I posted some VFX breakdown and behind the scene videos below. First video is a 30+ min from FXPHD. "We visit ILM to discuss the Pacific Rim production pipeline with John Knoll, Eddie Pasquarello, Lindy De Quattro and Hal Hickel. The pipeline uses NUKE, Houdini, KATANA, Modo, Alembic, Arnold/RenderMan and ILM's 3D and fluid destruction and muscle sim tools." "Storytelling studio Mirada was the creative and technical force behind the two-minute prologue of Guillermo del Toro's robots vs. monsters epic, Pacific Rim. Mirada was co-founded by del Toro along with award winning director Mathew Cullen, Executive Producer Javier Jimenez and Academy Award winning DP, Guillermo Navarro." Game of Thrones Season 3 Breakdowns! I love Game of Thrones even though I need cliff notes when I watch. The curve tool is great for a few things. I am going to show you how to use the autocrop feature of the curve tool. The curve tool is under the very first tab in the nodes panel in the image section. You can always hit Tab and type curves and it will come up. What the autocrop feature does is it looks for an alpha then crops your bounding box to fit the alpha channel. 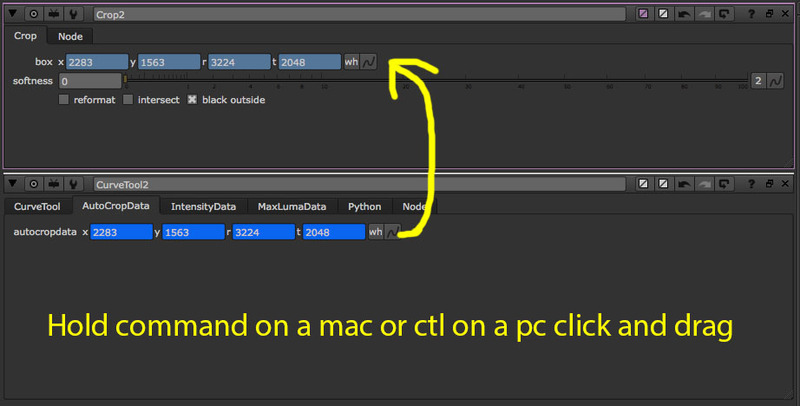 This can save some time in render and just over all workflow. Below is the same image but its alpha channel and bounding box. I hook up the curve tool to the node I want it to analyze and under the curve type I change it to auto crop then click go! Once it is done analyze you will get a data set under the AutoCropData tab. Now all you have to do is add a crop node and hold command/ctl and click the animation menu from the curves animation menu to the crop animation menu. Here is our new bounding box! Now instead of reading a 4k or 2k plate for the whole image it will only update what is in the bounding box! Here is what my end result nodes look like. This trick can save you a lot of time when using large images. Sometime it can also take a while to analyze so you have to figure out if the analyze wait is worth the end result. I have seen a few gizmos that relink your read nodes in nuke. I prefer to use a StickyNote, that way I don't have to rely on anything being installed if I switch to a new computer. As a work flow I usually create a couple of StickyNotes and copy and paste the text from one to the main StickyNote. So I have my home computer which the label is work/work/ and I have my work computer /SSD_video/Fisk. When Im at home I paste the work/work/ in the main StickyNote and vise versa when I go to work I paste /SSD_video/Fisk. Now all you need to do is and some text into each read node you bring in. In the read node add [knob filepath.label]. This path is a continuation from the StickyNote so really your path is split in half. First half on the StickyNote then the read node picks up the other half. 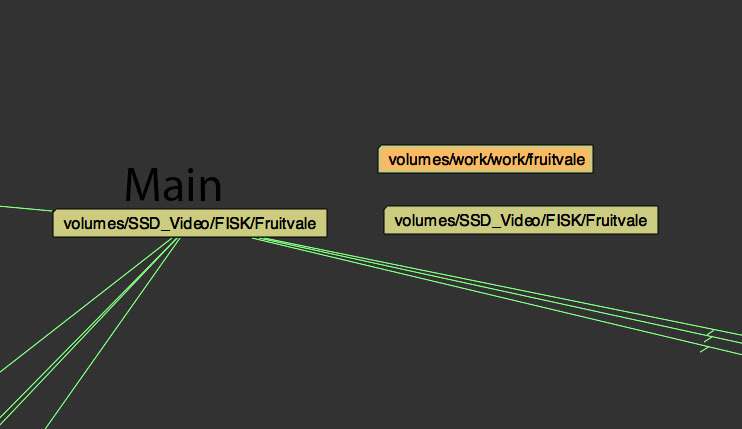 So [knob filepath.label] is taking the place of volumes/SSD_Video/FISK/Fruitvale and files it in from the StickyNote. The Other Guys was on tonight and the drinking scene was on. I was wondering how they did it and found this breakdown. The scene from The Other Guys is the same concept from the Philips 21:9 Carousel video. Check it out its pretty amazing.